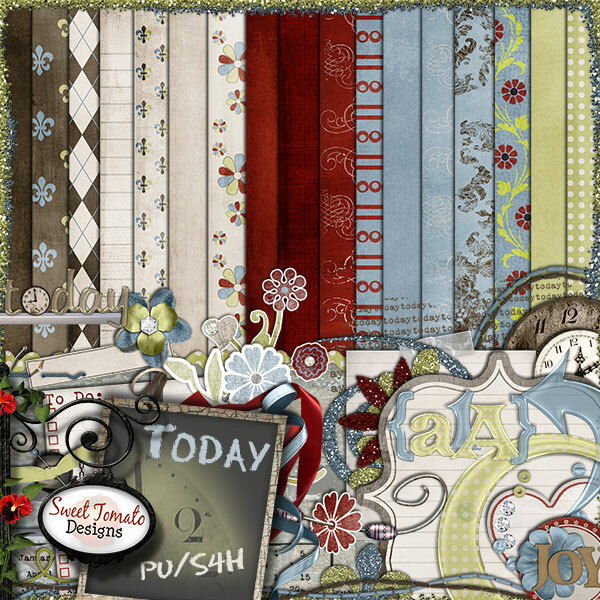 Cara over at Sweet Tomato Designs has some awesome kits out there. You can buy Today at Faith Sisters or Designs in Digital. It is a lot of fun to play with (my layouts coming soon) and I love the reminder from Cara to “Live in the moment, cherish the gifts Today has to offer you.” This is why I scrapbook. This is why I signed up to be a CT. I just have to remember to have faith in God to provide so I take the time to do this.